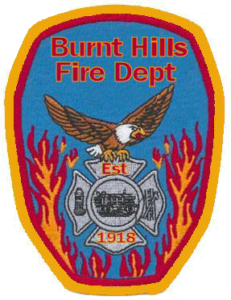 The Burnt Hills Fire Department is an all volunteer department with approximately 60 members. Organized under the Burnt Hills Fire District, the department covers a 10 square-mile area of the Town of Ballston, Saratoga County (NY). The department operates out of two stations. Station one is located on the corner of Rt 50 (Saratoga Rd) and Lake Hill Rd. Station two is located on the corner of Hop City and Charlton Rds. The department is dispatched through the Saratoga County Sheriff’s department 911 dispatch center and receives an average of 120 calls per year. The coverage area is mostly residential with some farmland, retail shops and a light industrial park.